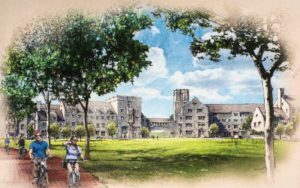 Merryman family commits $2 million for Virginia Tech Athletics, Pamplin College of Business | Sonny Merryman Inc. It was Floyd Merryman’s father, Floyd W. “Sonny” Merryman Jr. ’46, who ignited his family’s passion for supporting Virginia Tech. In the decades following his time at Virginia Tech, the family gave generously to a number of university initiatives, especially in the athletics and business arenas. The Merryman Athletic Facility, located between Cassell Coliseum and Lane Stadium, was named for Sonny Merryman and his wife, Lou, as was an endowed professorship in the Pamplin College of Business and multiple scholarships named for Sonny Merryman. 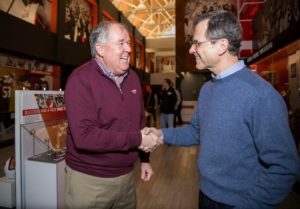 “I apprecate the generosity of the Merryman family to Virginia Tech’s athletic and academic missions,” said Robert Sumichrast, Pamplin dean. Story originally published by vt.edu.